The Samsung SNB-7001 3Megapixel Full HD IP Security Camera offers a new level of property monitoring. Equipped with a maximum of 3MP resolution, this full HD network camera captures footage in exceptional detail and sharpness. Moreover, it provides a 24-hour security to your home or business establishment as it has a Day & Night function, ensuring enhanced image clarity in both bright and dimly lit situations. 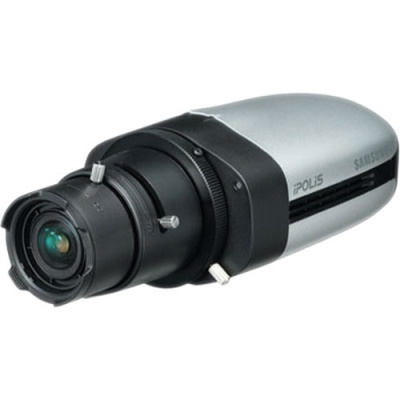 Take advantage of this security camera’s multiple streaming capabilities, as well as H.264 & MJPEG dual codec, to set up independent outputs that can cater to various surveillance needs. Plus, it even features a motion detection that quickly monitors any signs of movements within the camera’s field of vision. Also equipped with privacy masking and Smart codec (ROI encoding), the Samsung SNB-7001 3Megapixel Full HD IP Security Camera offers the reliability you need to secure your property.